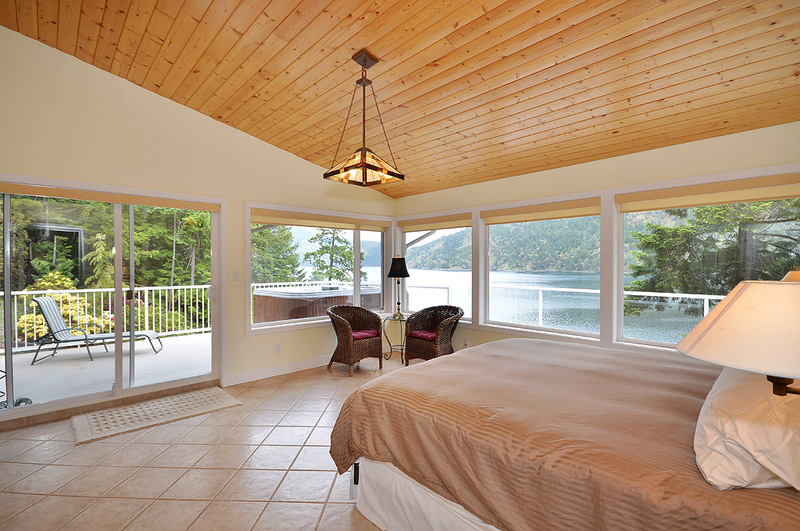 The Serenity Estate offers the ultimate west coast experience for your family, friends or business associates. 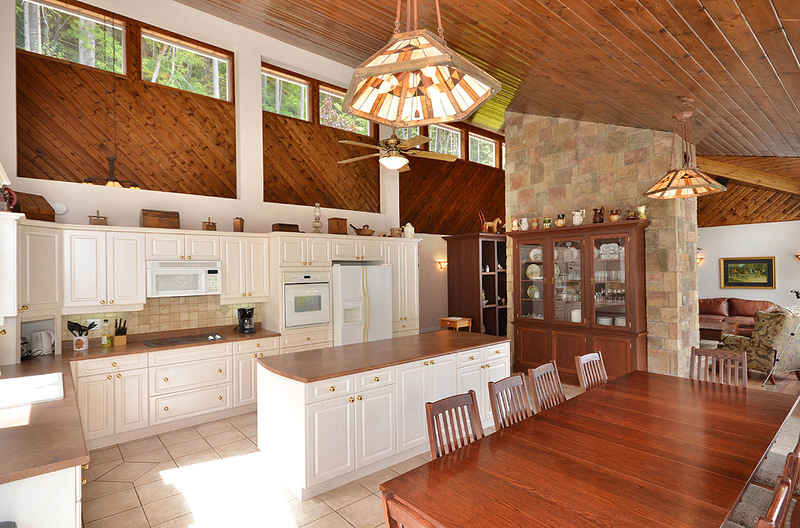 This secluded location has diverse accommodation for a large group but 9 acres of space for individual quiet time. 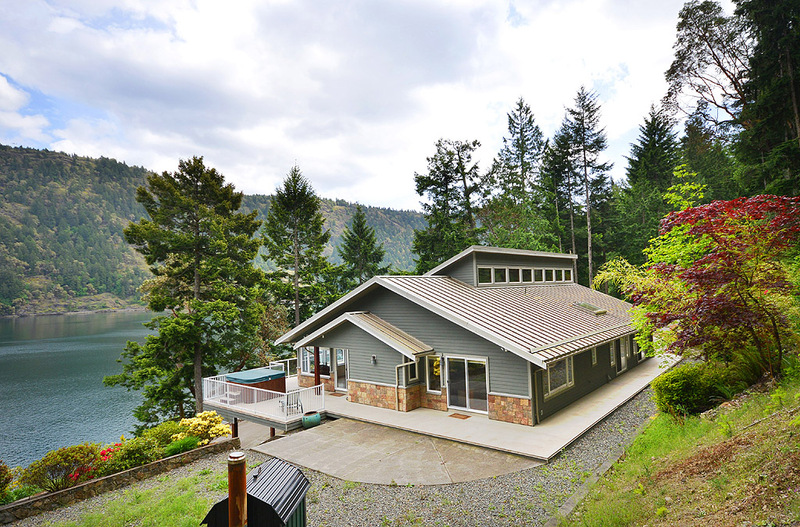 The expansive house and cabin compliment the location for their luxury and in the woods comfort. 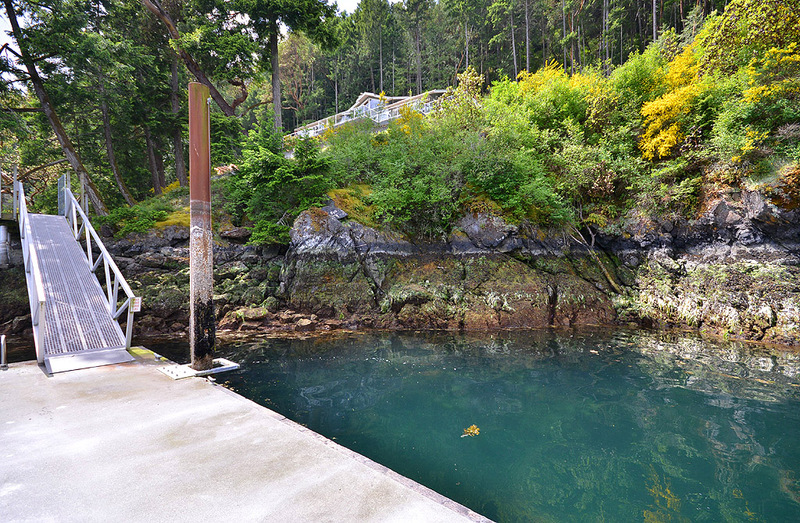 With the 700 feet of ocean shore below and the 60 foot dock literally in your front yard, the sea playground can be anything you want it to be. 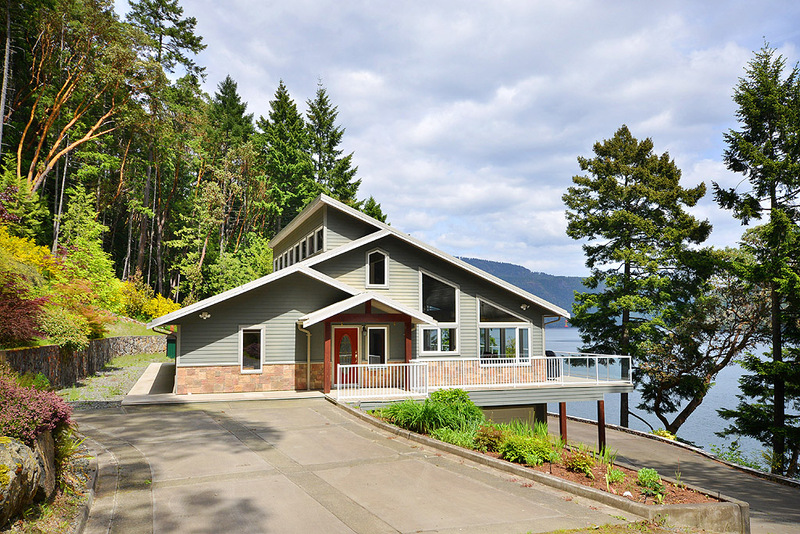 Fishing, kayaking, clam digging, boating the Serenity Estate offers it all. 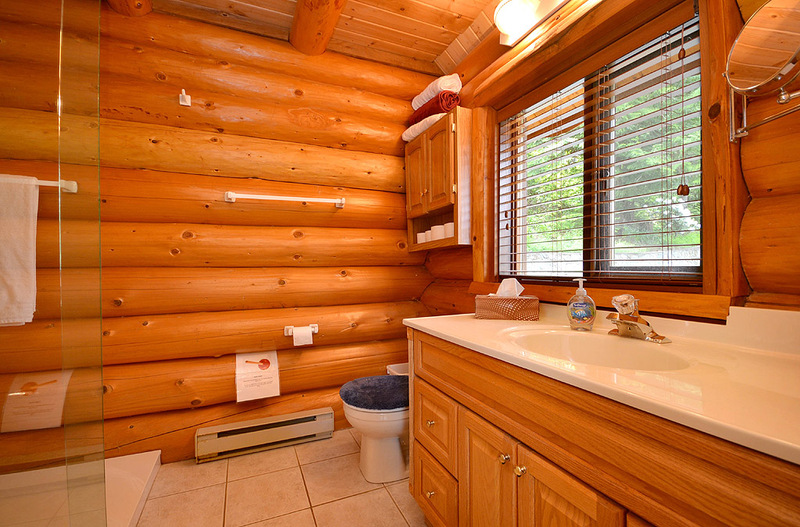 Or simply watch your family's water activities sitting in the hot tub on the deck above. Explore the low tide beach with your grand-daughter, looking for star fish or the shy and busy crab, hiding under the rocky shore. 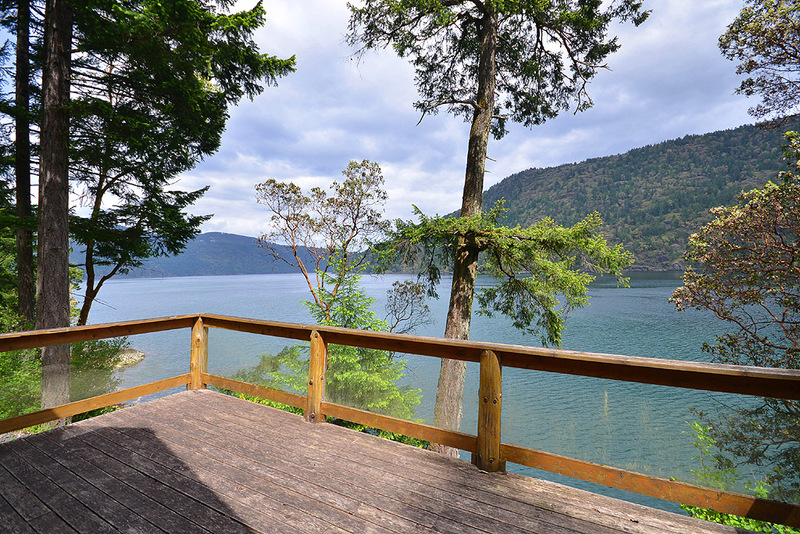 Skip a stone across the quiet waters of the Saanich Inlet or sit on the deck in front of the cozy cabin, reading your new book listening to the eagles call. 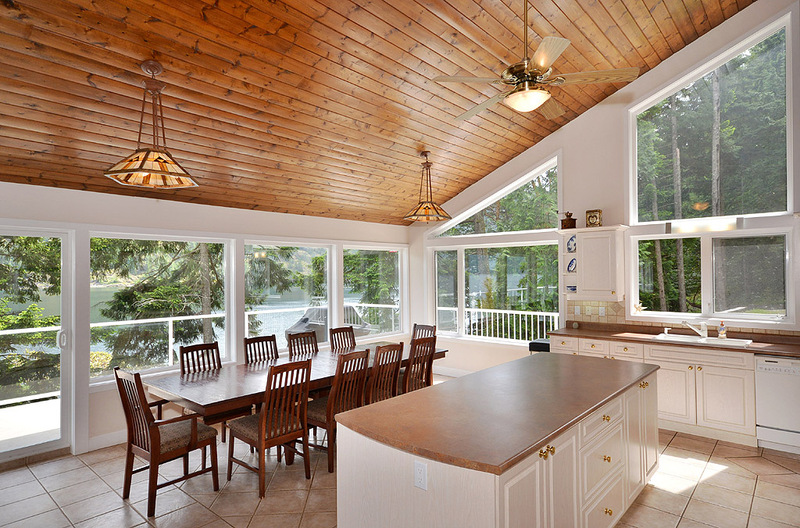 At the end of the day, ring the dinner bell and BBQ your favourite food on the big house deck. Gather around the huge dining table that comfortably seats 10 or simply share your food outside on the huge deck watching the seals, sharing the day's pleasures and planning what tomorrow may bring. 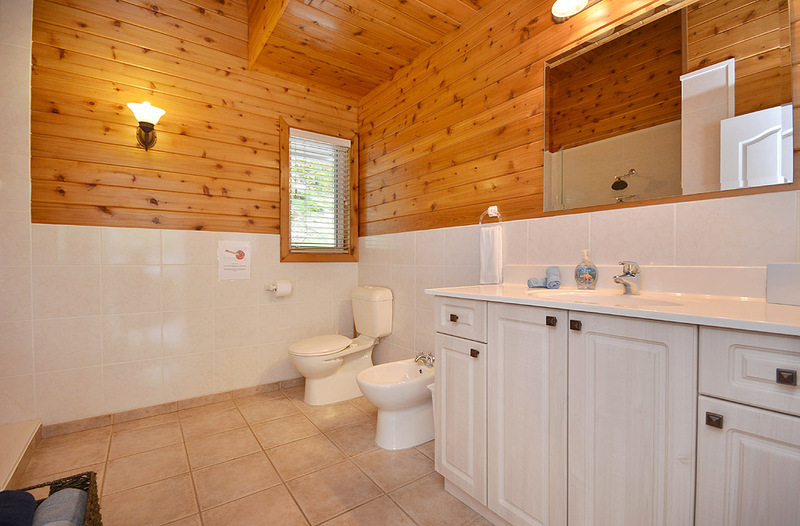 The Serenity Estate is a combination of both the Serenity Seaside Cabin and Serenity By The Sea. 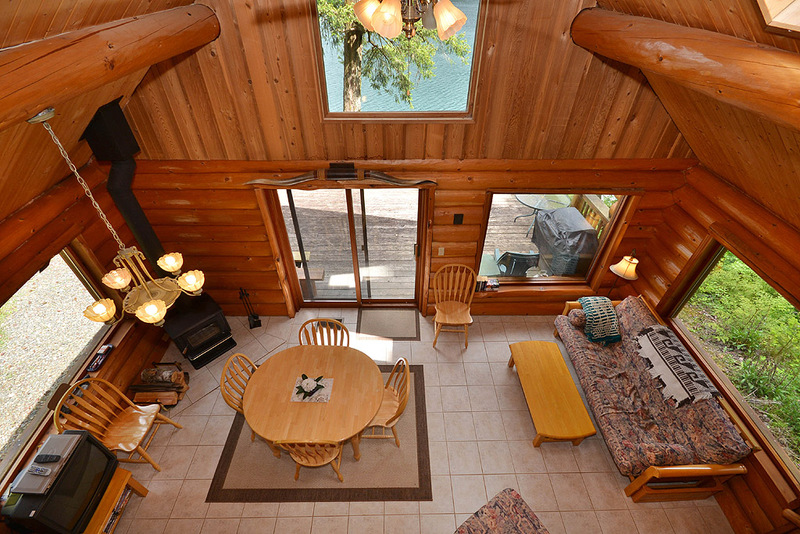 The natural setting of this hideaway is best described by its name serenity. 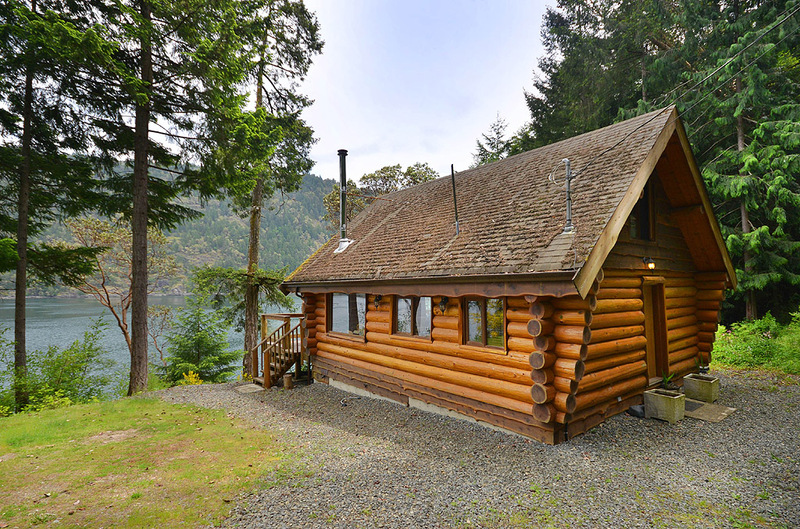 This wonderful log cabin is nestled in a mature forest along a 700 foot shoreline of the Saanich Inlet but only 30 minutes from downtown Victoria. 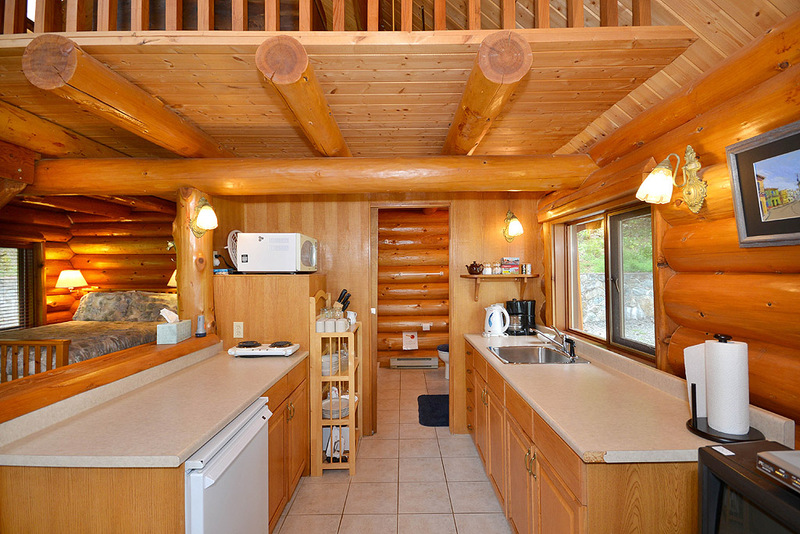 It is so close to all amenities but offers isolation to explore the ocean and surrounding forest alone with your family and friends. Bring your bird book and binoculars. 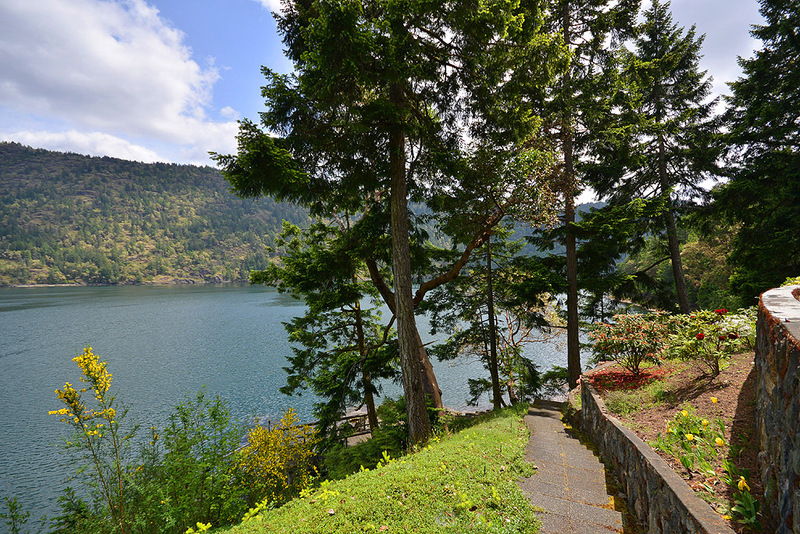 Bald eagles nest nearby and hunt for salmon while perched on the property's edge. Seals and sea otters play in the ocean below. 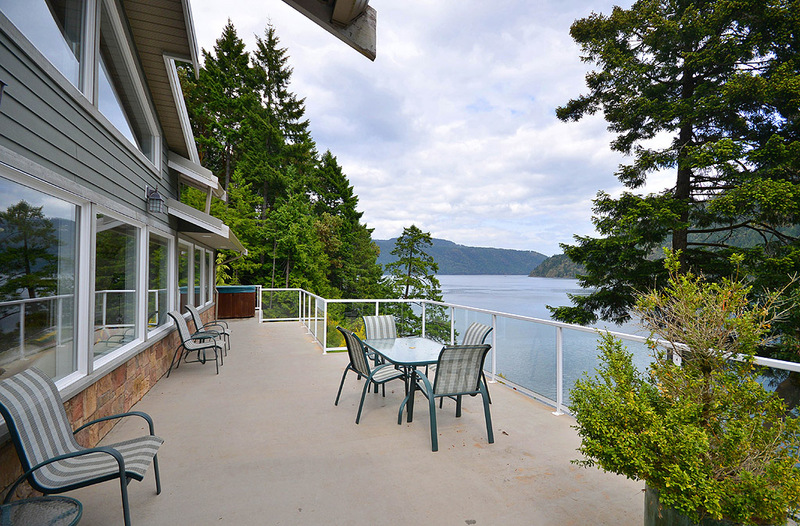 Your stay in this quiet forest hideaway provides a front-row seat of the ocean below while sitting on the large deck sipping local refreshments and cooking dinner on the BBQ. 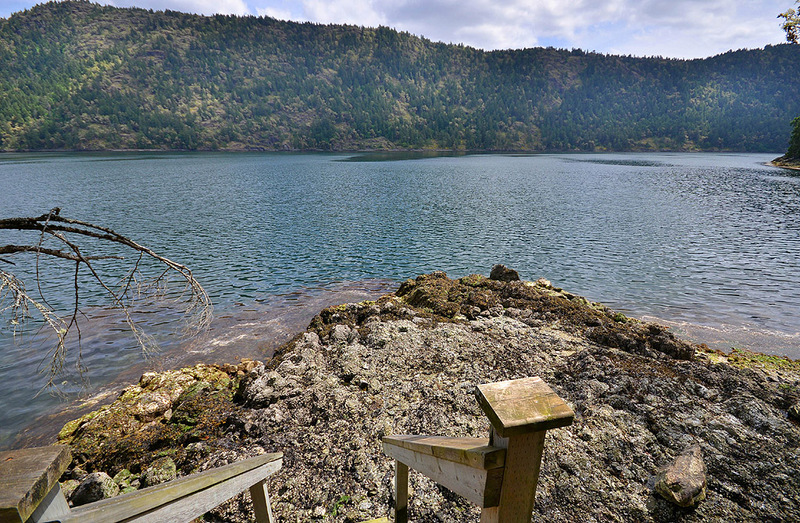 Light a fire in the fireplace at night, watch year round resident Hummingbirds speed by, dig for clams on the beach, look at the many purple star fish on the water's edge or take a hike through the woods. 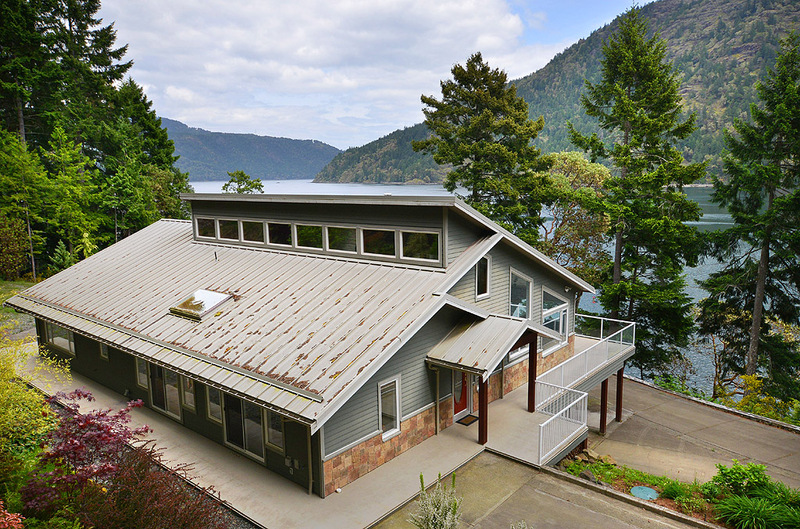 This cabin offers a west coast, seaside tranquility that is hard to compare. 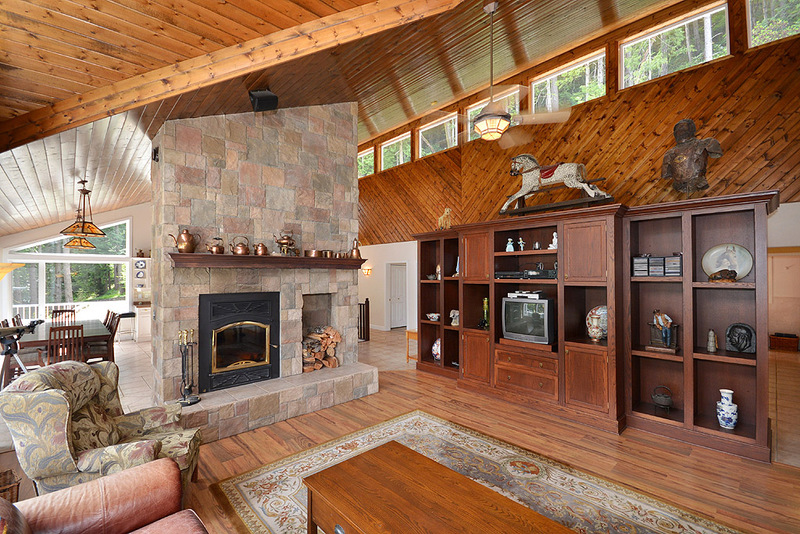 The high ceiling, open concept cabin was built with logs harvested on the property. 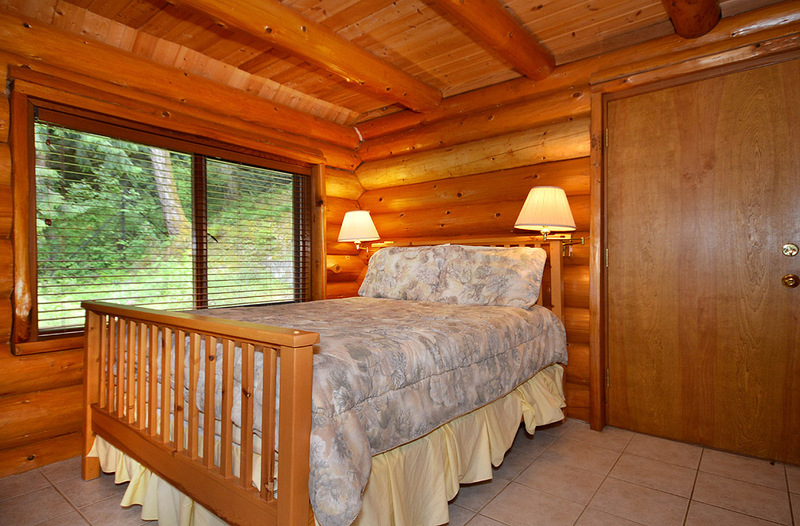 The cabin will sleep many or few. 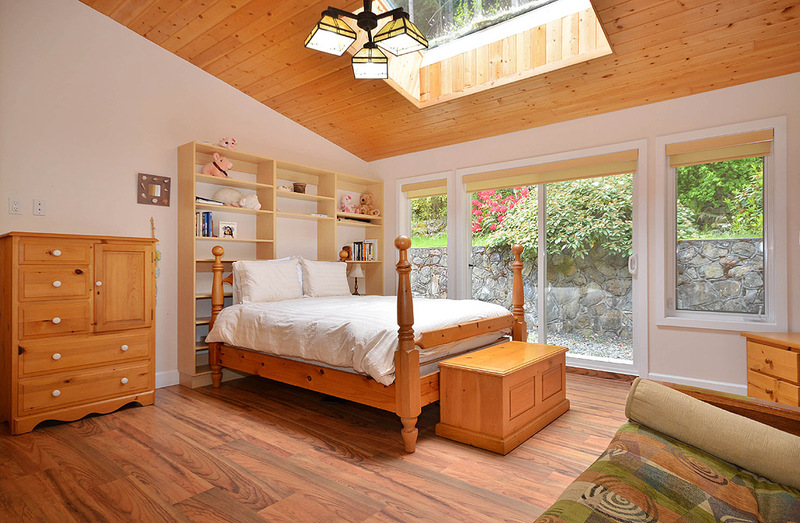 In the large loft, a queen bed awaits your company with extra sleeping area for accompanying children. A library desk over-looking the kitchen provides a quiet isolation for writing that letter to a friend. 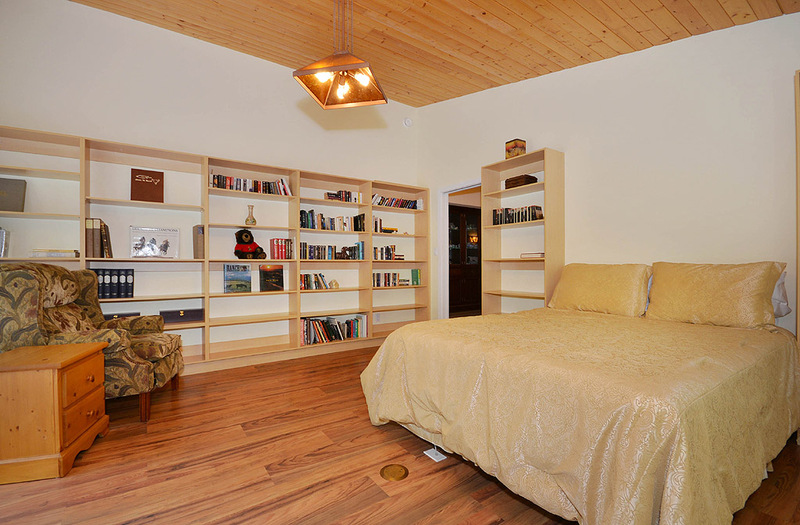 The main floor has a queen bed in the bedroom area plus a double and single futon in the front room. 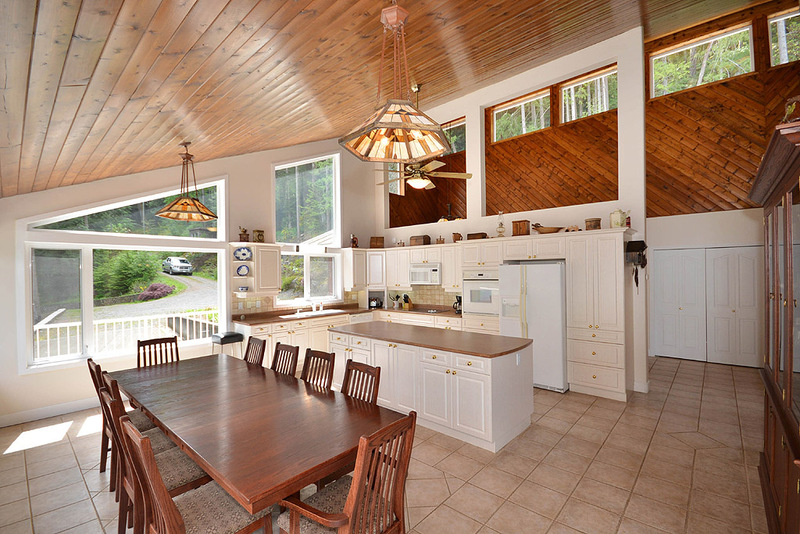 The eating area kitchen by the fireplace seats 6 in front of the fireplace beside a window view of the ocean. 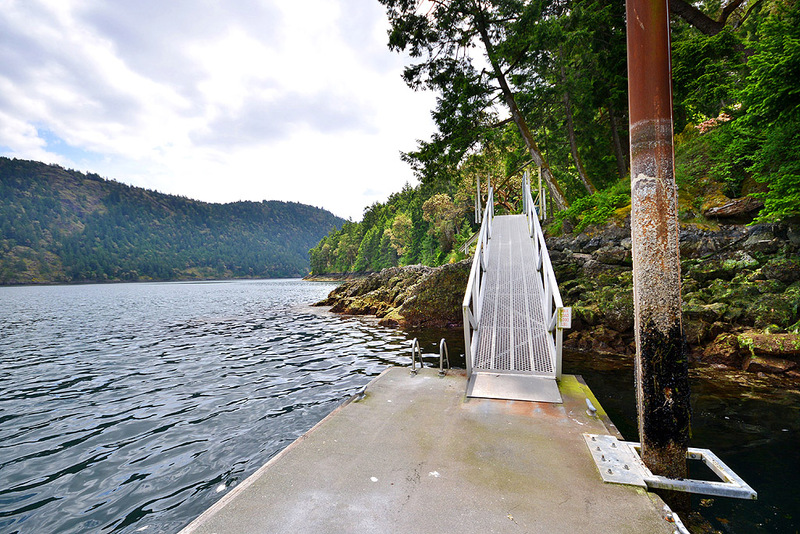 Your cabin has beach access to a 60 foot cement dock to launch your kayak or canoe. 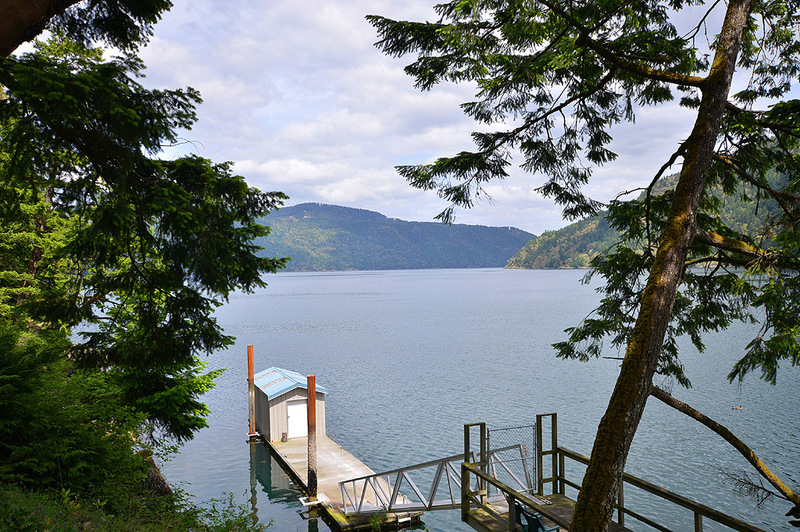 The 20 locked shed on the dock is available to secure your kayaks, fishing gear or water sport needs. 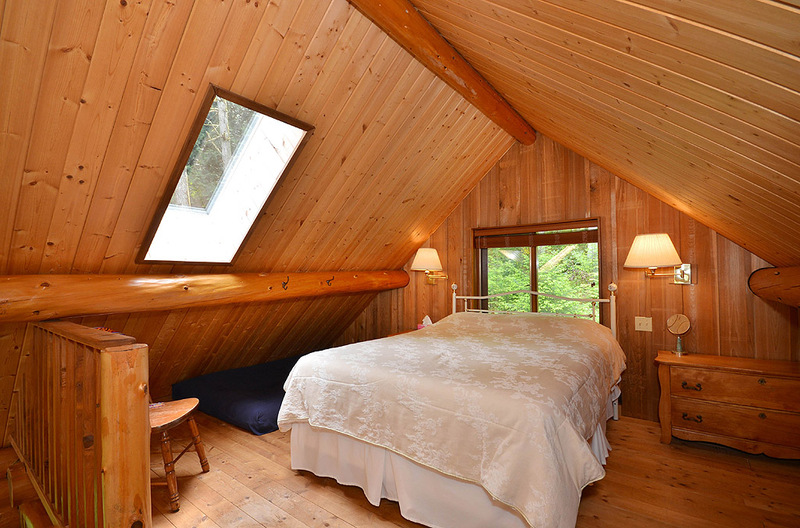 This delightful cabin is a very special place that offers so much for your next west coast holiday. 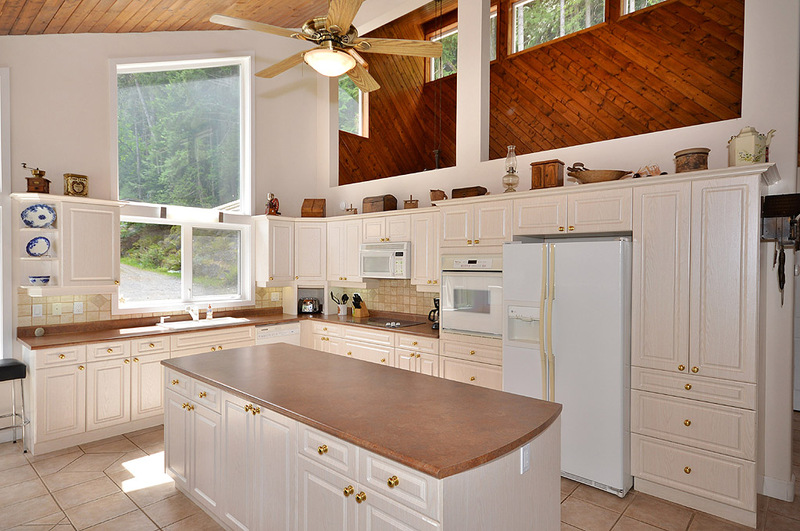 Serenity offers 4000 square feet of living space for you and your family to enjoy. 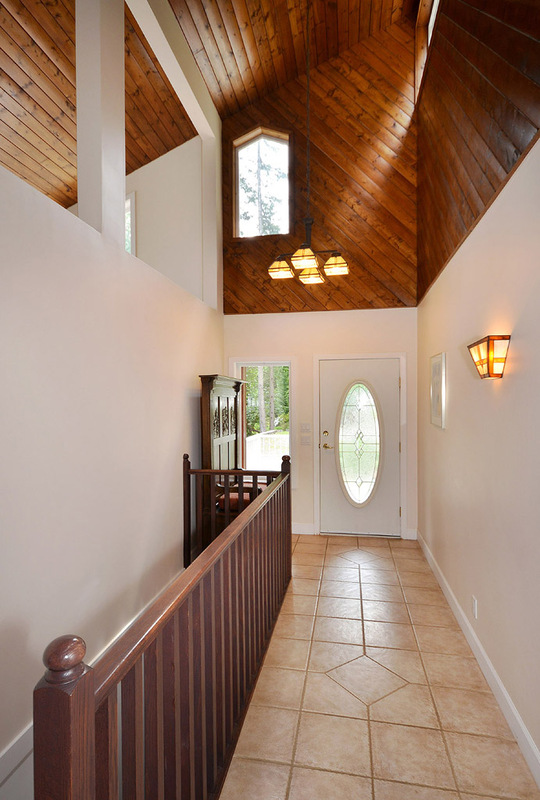 This wonderfully designed home has a 22 open vaulted white pine ceiling and huge picture windows to make you feel like the nearby bald eagles are close enough to touch. Each of the spacious bedrooms has an outside access door to a huge wrap-around deck and the hot tub that over-looks the ocean. The large open kitchen and dining area has all the comforts of home to dine with your family, seated comfortably at the huge dining table that seats 10. Many organic herbs are grown in the gardens and ceramic pots for your dining needs. 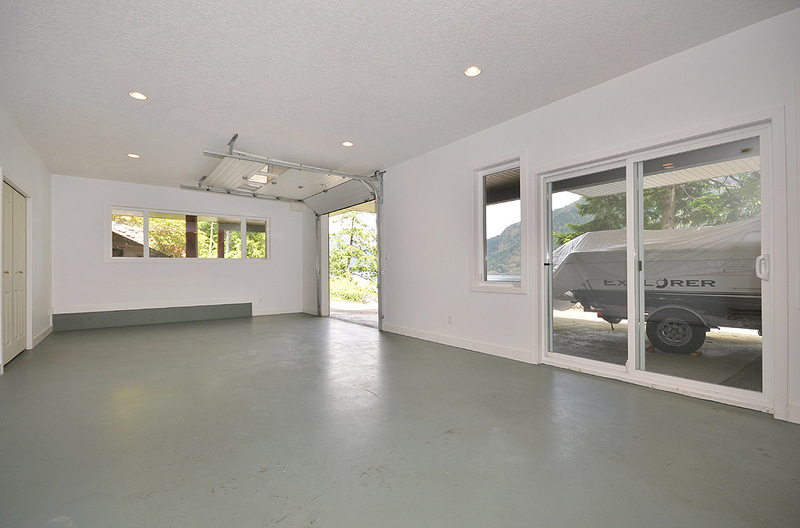 If you like to BBQ, dine outside on the 80 long deck that stretches the entire length of the house and over-looks the inlet below. Downstairs is a 600 square foot party/conference room that can be used for any large family or business gathering. 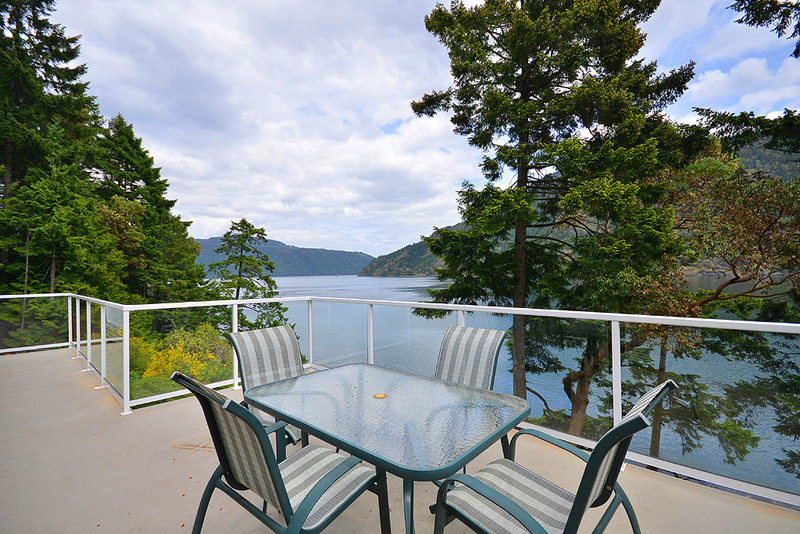 From there, step out onto a huge concrete patio with a breath taking view of the water below. Explore the many property gardens supported by endless stone walls, professionally built from rock harvested and crafted on the property. Lots of outside furniture allows you sit in the privacy of nature at its best. 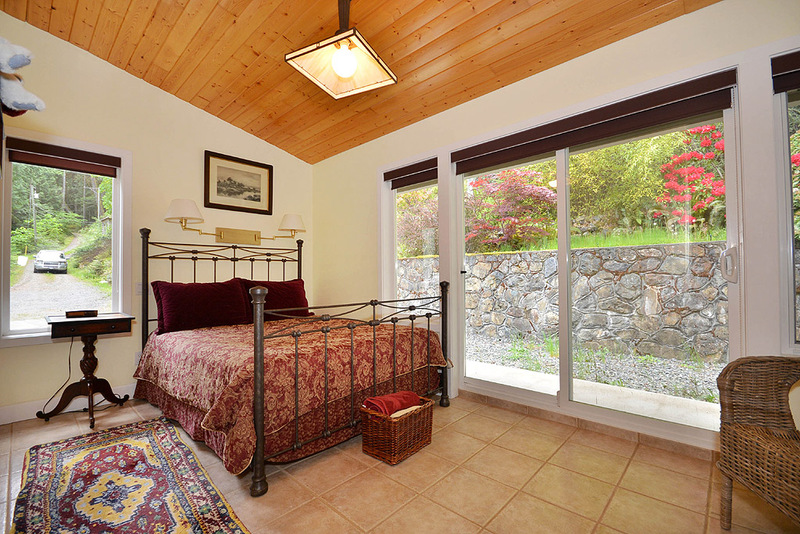 Snuggle by the stone fireplace at night and read your book planning the next day's adventure. Wake up to the eagles call and down the 56 steps to the dock below with your morning refreshment - then sit and stare at the wonder of it all. 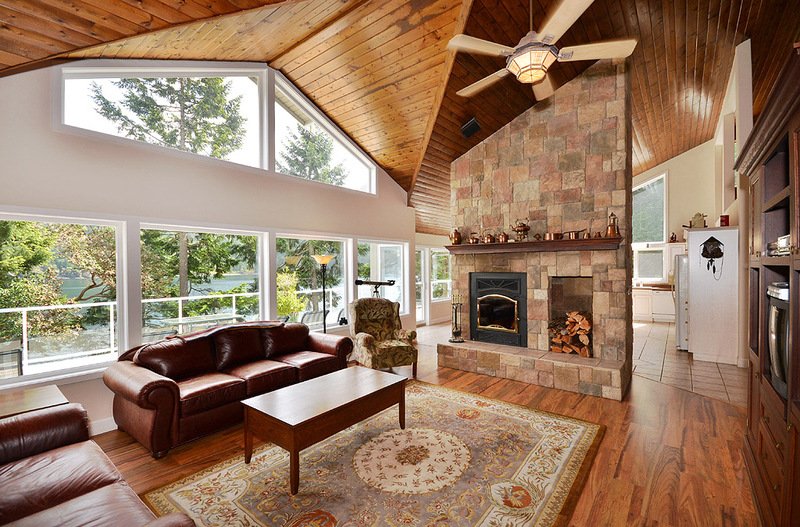 The Serenity Estate is located ideally between Victoria and the Cowichan Valley on nine acres of wooded waterfront property. 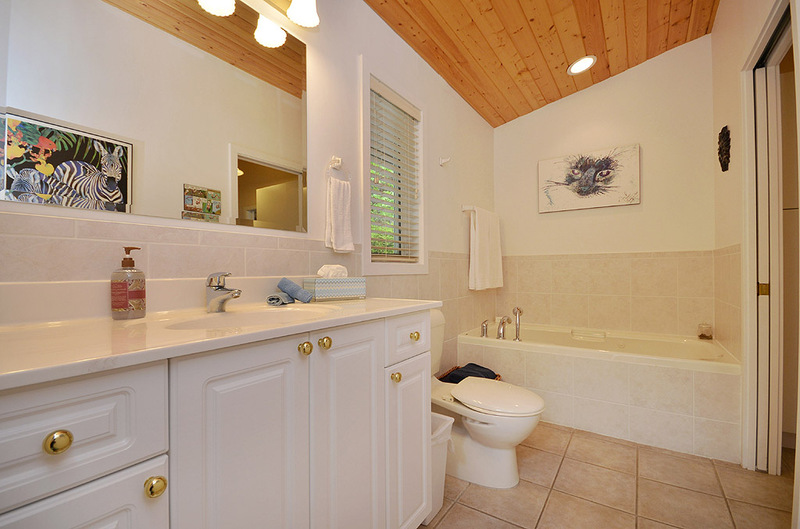 It is 5 minutes off the Trans Canada Highway - only 40 minutes from the Victoria airport and 50 minutes from the Swartz Bay or Duke Point ferries. 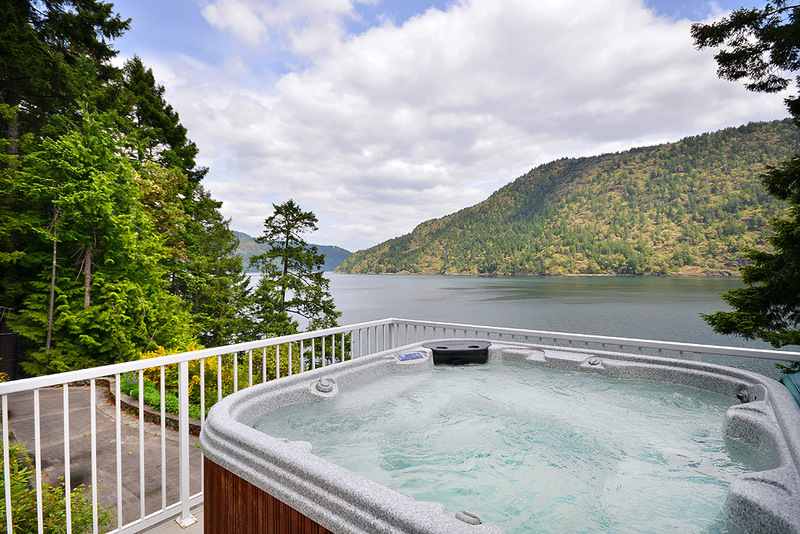 Climb up nearby Finlayson Mountain, 5km south, in the summer or stroll through Goldstream Park, 4km south, in the fall to watch the wonder of spawning salmon. 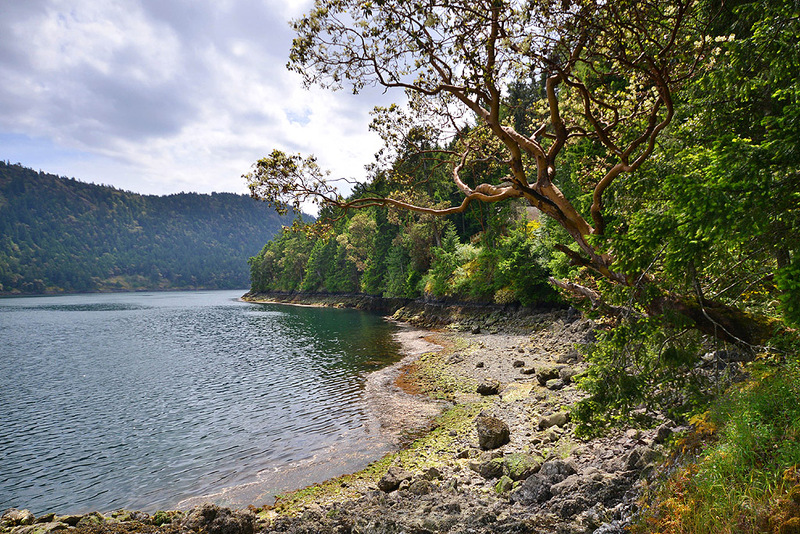 You can shop in the seaside community of Mill Bay, 25 minutes away, or nearby Langford, 15 minutes away, for all your family needs. Fly fishing for salmon on the world famous Cowichan River is only 30 minutes away. Visit the theatre, murals and charm of historic Chemainus, a short 40 minute drive. 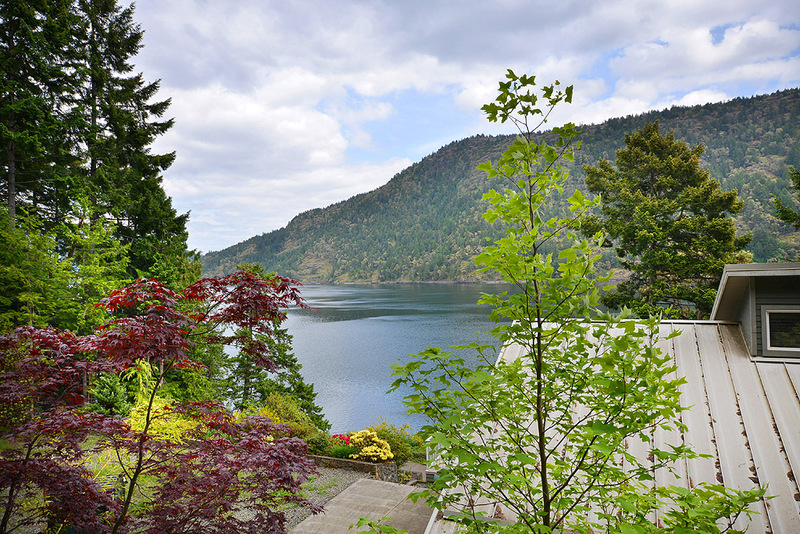 The surrounding area offers many excellent year round golf courses such as the Jack Nicklaus designed Bear Mountain golf course 20 minutes away, local wineries, Butchart Gardens, spas, whale watching tours and a long list of other activities in Victoria, the most beautiful harbour capitol city in Canada. 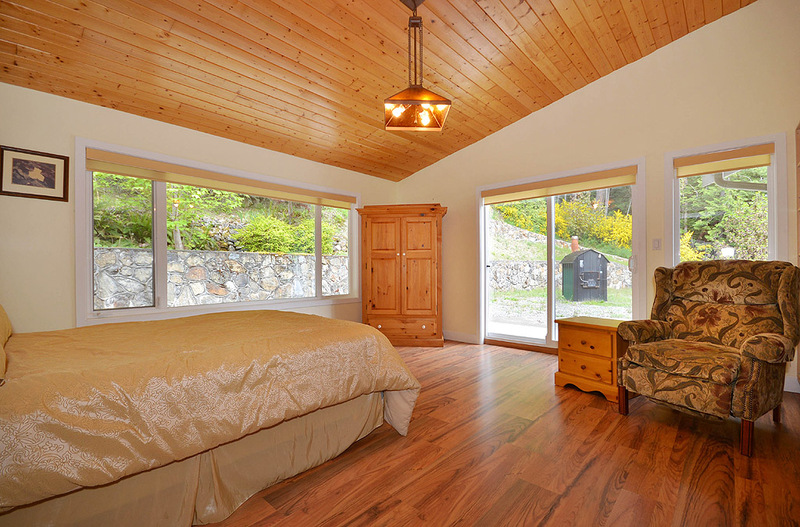 Take time and make Serenity your next memorable and restful retreat. Additional cleaning fees for dogs are required. $50 for per dog under 20 lbs. $100 per dog over 20 lbs. Two dogs maximum per booking. Our family had a great vacation and we all enjoy our stay at Serenity Estate. We really appreciated the owner for his hospitality. Thanks. I thoroughly enjoyed the main house and the location was fabulous. I had forgotten however as to how steep that road was leading down to the property. I had a van which had quite a bit of difficulty going up. Might be good to mention that in the listing. I know when I used the Morningside property I specifically ordered an SUV to rent for the trip. My only concern were the mice in the cottage. I had the boys out there and they were not too upset. If I had girls out there that might have been a different story. Jim was a great owner to deal with. Came and personally showed me all the assets of the property and pointed out all the wildlife. I enjoyed the seals and otters. 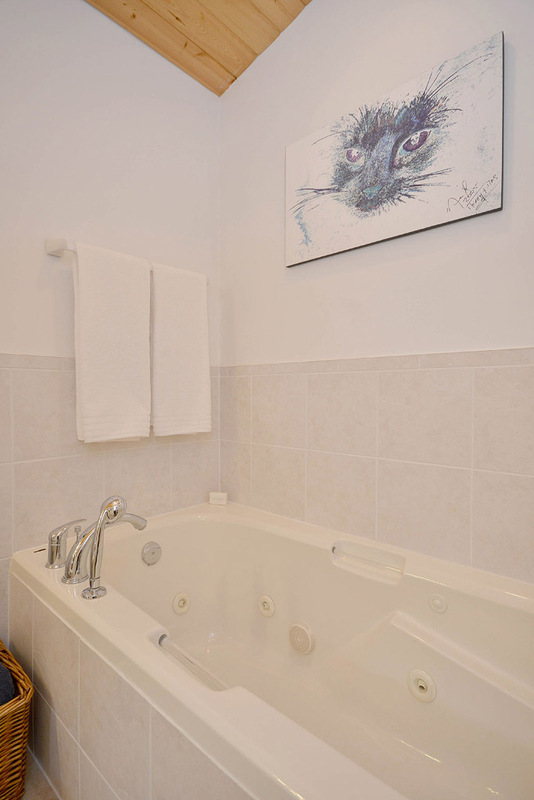 Thank you for your great review of the property. We are very glad you enjoyed your stay at that spectacular property. We especially appreciate you letting us know about the mice as we will be sure to have that attended to immediately. The only real problem with the space was a strong smell of gas the first couple of days that was discovered to be some leaking generators in the garage. Other than that the place was great and people had a lot of fun with the raft and the hot tub.